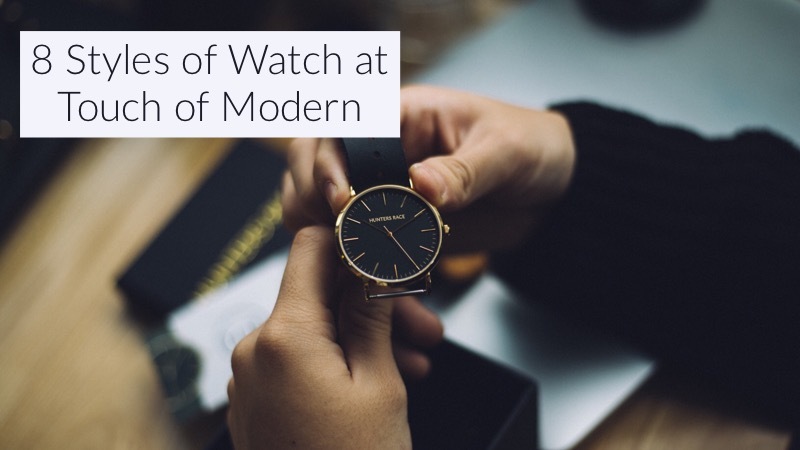 Touch of Modern is an ecommerce website for men's fashion, accessories, gadgets and other lifestyle products. Touch of Modern is for members-only, so make sure to sign up online to check out their unique collection. Touch of Modern carries really great holiday gifts for men, as well. From camping gear to leather belts to a floating Death Star speaker, Touch of Modern has a little bit of everything that men love! Does Touch Of Modern accept PayPal? Yes. Touch of Modern does accept PayPal as payment online. Major credit cards are also accepted. Does Touch Of Modern accept returns? Return policy may vary per product. Details will be listed on the product you are viewing. Generally, returns are not accepted at Touch of Modern. View the Touch of Modern return policy for more info. Does Touch Of Modern charge tax? For customers who order from California, Touch of Modern is currently required to charge a sales tax. Does Touch Of Modern ever go on sale? Yes. Touch of Modern coupons are updated regularly right here at Coupon Cause! Does Touch Of Modern have a customer service phone number? No. Currently, if you wish to reach Touch of Modern customer service you must submit a request online at their support page. Does Touch Of Modern have an app? Yes. The Touch of Modern mobile app is available on both Android and Apple! Download for Touch of Modern deals and shopping on-the-go. Does Touch Of Modern have any physical locations? Besides the headquarters in San Francisco, Touch of Modern does not have any physical locations and is strictly an online store. Does Touch Of Modern ship internationally? Currently, Touch of Modern will ship to all 50 US States, US Territories and Canada. Where is Touch Of Modern located? Touch of Modern is based in San Francisco, California. What does Touch Of Modern do? Touch of Modern curates the best and most innovative items found in fashion and lifestyle to bring an ecommerce experience built just for men. Are you happy with the Touch Of Modern offers on this page?